Comments: Invasive grass that is difficult to eradicate. Silk-like, reddish to buff flower plumes in fall. Plants have naturalized in the South and are well adapted to a wide range of soils. The variegated selection featured in the next set of images has considerable merit as an ornamental grass in locations where growth can be restricted. 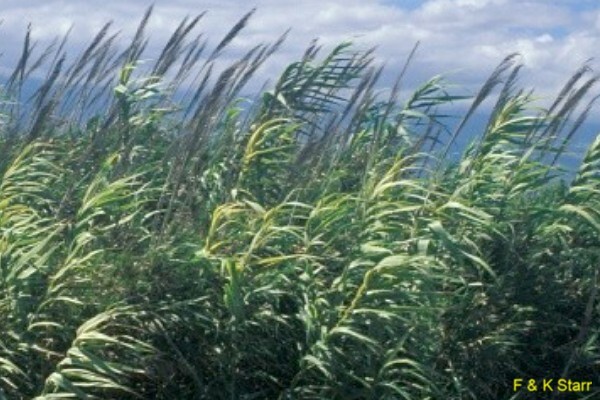 Giant reed has been grown for centuries. It has been excavated from Egyptian tombs that date back to the First Century B.C.